Our experience has given us many frequently asked questions. Here are some answers to the most asked questions. How often do trips go out? We offer whale watching trips daily. Please see our calendar for trip times and availability. Our morning trip is 4 hours long and our afternoon trip is 3 hours long. Our primary whale watch vessel is the Sur Randy which measure 53ft in length and carries up to 45 passengers. We only take 30 passengers per trip to allow for more personal time with the crew and comfort while riding on board. From time to time we may use a different vessel depending on availability. All of our vessels are annually inspected and certified by the U.S. Coast Guard. Yes, we recommend reserving in advance to ensure you get the time and date that you want. During the high season (summer) in Monterey, trips do sell out, so booking at least three to four days ahead of time is recommended. You can book online at any time by clicking the “Book Now” button at the top of the page. Please check in at our office at least 30 minutes prior to departure time. Here is a link to a parking map provided by the City of Monterey. RV parking is available in Wharf Lot #1. We always recommend warm layers. You can always take a layer off if you are too warm, but you can’t put on a layer you didn’t bring. Long pants and close toes shoes are highly recommended. It is also a good idea to bring a water proof layer; not only does it keep you dry, it also protects you from the wind. Hats or sun protection even on overcast days is recommended. Our vessels are now licensed for beer and wine sales on board and our shop is licensed for beer sales. Therefore, guests are no longer allowed to bring their own alcoholic beverages on the trips. We do have beer for sale everyday in store and beer and wine on the vessels for sale to individuals 21years of age and older in accordance with the California Alcohol and Beverage Control regulations. The weather really varies daily. We use the marine forecast and our observations on the ocean to determine the safest conditions for your trip. We strive to give you realistic expectations about weather on the day of your trip, so please call and ask a day ahead of time for the most up to date information if you are concerned. Weather in the surrounding areas is not necessarily the same as what we are experiencing on the ocean in Monterey. Typically, the calmest ocean conditions of the day are in the morning. We do go out if it is raining, so long as sea conditions are still manageable. Sometimes ocean conditions are deemed unsafe by the captain and we will have to cancel the trip, this decision is most often made just prior to departure, the day of a trip after careful consideration. If you suffer from other types of motion sickness such as on a plane or in a car, you might get seasick. If you are concerned at all about potential sea sickness, please take or bring a preventative remedy with you on the trip. We would also recommend going on a morning trip when the weather is typically calmer. We carry a few remedies in the shop that you can purchase, but we also encourage you to visit a local pharmacy where there is a wider selection of motion sickness remedy options. Yes, children of any age are allowed on our vessels. Our only passenger restriction is no pregnant women. Why can’t pregnant women go on the trips? Often times we are over an hour from the harbor while watching whales. Should a pregnant woman become distressed on the vessel that means they are over an hour from proper medical attention. The risk of falling and the risk of dehydration are also higher and have much larger consequences for pregnant women while on the boat. Yes, we have life jackets for all passengers on board as required by the US Coast Guard. Our crew will outfit all children 6 years old and younger with life jackets to wear during the trip and demonstrate how to wear a life jacket in the case of an emergency. Yes, our vessels are certified and inspected by the US Coast Guard every year. We are fully equipped with life rafts, emergency beacons (EPIRB), life jackets, throw rings, fire extinguishers and first aid kits. Our crew will give a full safety briefing at the beginning of the trip for all passengers. Yes we guarantee a whale or killer whale sighting on all of our whale watch trips. If we do not see a whale or killer whale, then we will issue a rain check for you to come back for free another time. We see whales year-round, and the time of day does not matter for sightings (see question about weather). There are peaks in the seasons throughout the year. During the winter time we are primarily watching Gray Whales, the spring time is best for Killer Whales, the summer and fall is when we primarily watch Humpback Whales. We abide by recommended guidelines of 100 yards (~100 meters) distance from the whales. Sometimes the animals choose to move closer to us, which is always a thrill. Generally, we are close enough that you can get nice photos even with your camera phone. How far off shore are the whales? That really depends on the whales. Sometimes they are very close to shore while migrating or feeding, but typically we do have to travel 30-60 min to the best sighting areas. 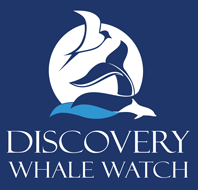 Yes, we send a marine biologist or naturalist out on every whale watch trip.